A legislation called Prevention of Electronic Crimes Act (PECA), which was enacted in the name of securing people of Pakistan struggles to solve issues pertaining to digital spaces. A lot of times, people don't know who to turn to if they encounter any unpleasant incident online. This problem amplifies when citizens don't know their constitutional rights. 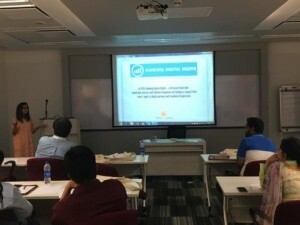 Digital Rights Foundation was engaged in the series of sessions and events throughout the month of April to talk to people from different backgrounds about their digital rights and aimed at empowering them with the information needed to raise their voices against injustice and to demand their rights as the citizens of Pakistan. 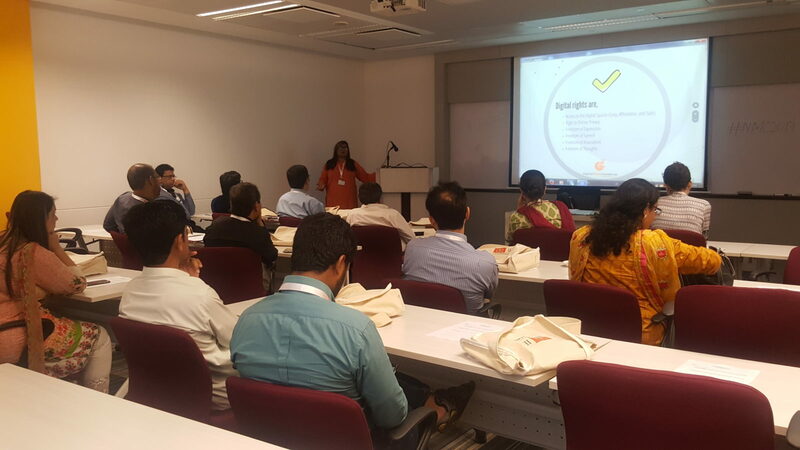 DRF spoke to 70 journalists from across Pakistan on digital rights and online safety at National Media Conference 2017 organised on April 20th - 21st, 2017 by College of Excellence in Journalism (CEJ) at IBA, Karachi. 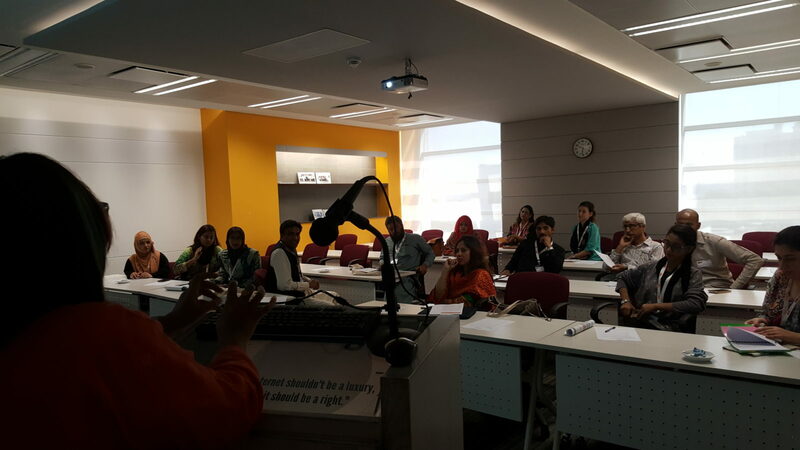 DRF conducted six sessions with the participants who were all journalists from different media groups across Pakistan. 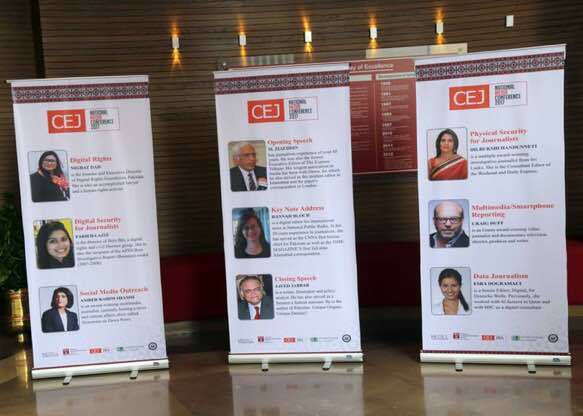 The sessions aimed at creating awareness about digital rights and privacy among the journalists who face serious level of threats due to the nature of their work. 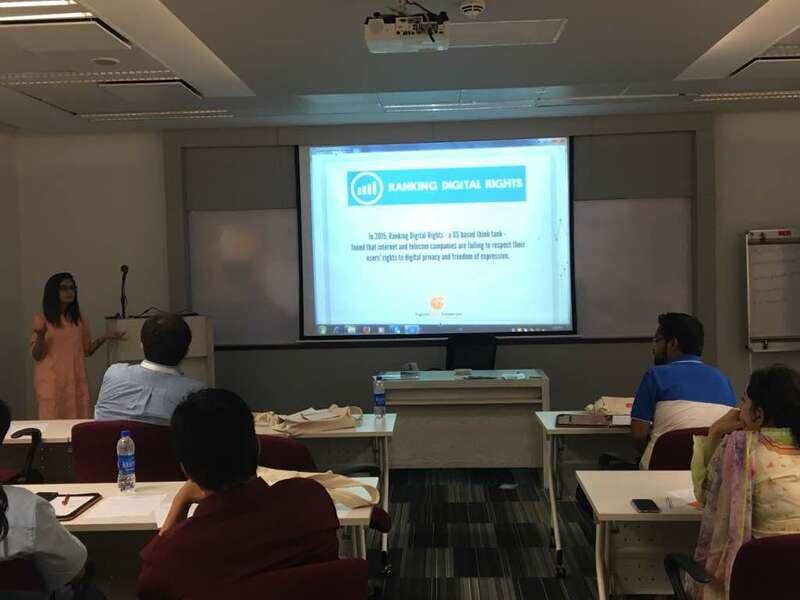 The participants were also briefed about the lack of data protection and transparency among the service providers, including telecom companies and ISPs, in Pakistan and across the world, and what it means for the users in the absence of data protection laws in Pakistan. When asked if they read the privacy policies of any service before signing up for it, the main concern of most of the participants and the reason for them to not bother reading the policies was the complicated legal language used in those guidelines that according to them, even if they attempt to read, they won’t understand it. 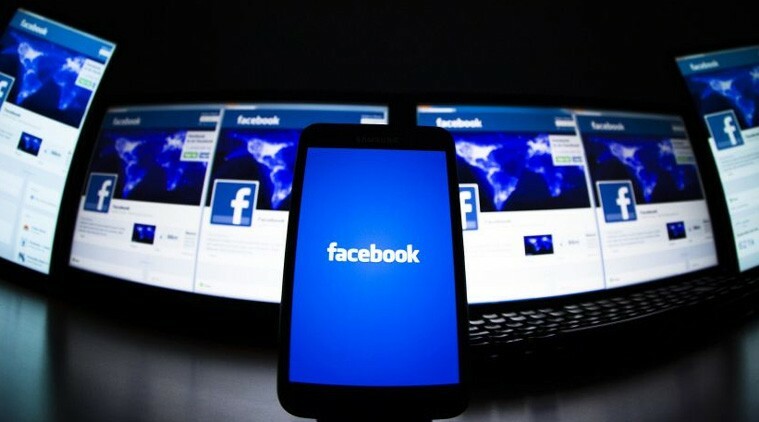 Facebook, as part of its ongoing public objective to provide transparency, released its bi-annual Government Requests Report (GRR) for the months of July - December 2016. According to the report, the Government of Pakistan made 1,002 total requests related to 1,431 user accounts, compared to 35 total requests related to 47 user accounts according to the first ever GRR report published in 2013. More on Facebook's GRR report for Pakistan here. Doughty Street Chambers joined hands with 18 NGOs including Digital Rights Foundation to file legal submissions before France’s highest court, the Council of State, raising serious concerns about a ruling of France’s data protection authority, la Commission nationale informatique et libertés (“CNIL”), on the “right to be forgotten". 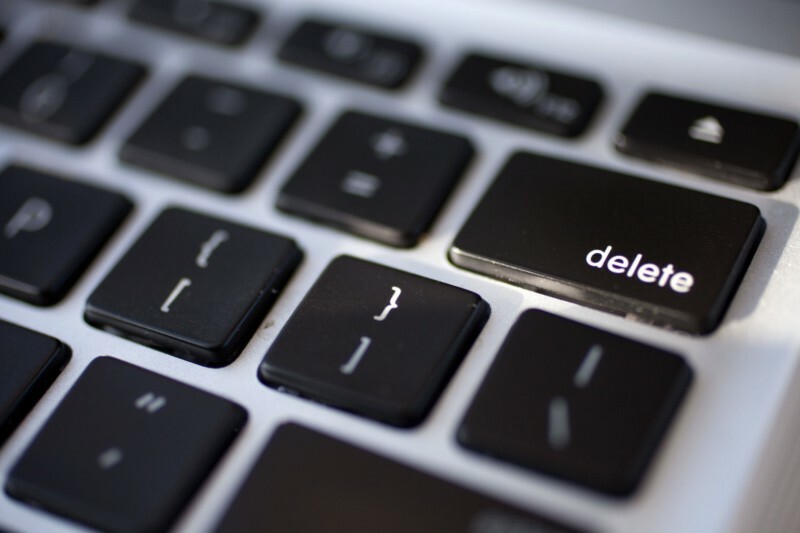 Although justified as necessary for the protection of minors and to allow victims of cyber harassment to remove content posted about them online, "Right to be Forgotten" laws have come under fire for being vaguely defined. Read more. 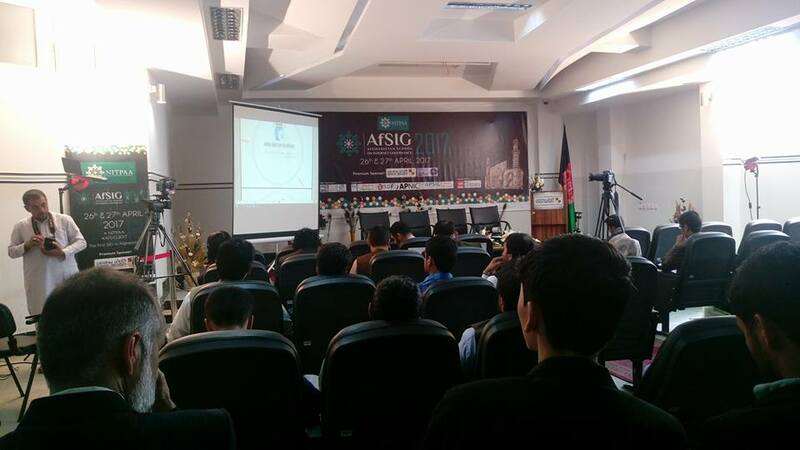 National IT Professional Association of Afghanistan (NITPAA) organised Afghanistan’s first Afghan School on Internet Governance on April 26 - 27, 2017 where Nighat Dad spoke to the participants. 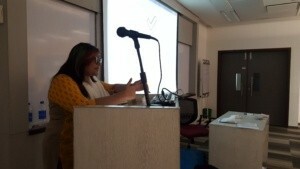 Her talk featured how human rights should be incorporated in internet governance. She also specified the digital rights that should be protected for all the citizens. She highlighted that internet is an open platform and its governance should involve every stakeholder, state and non-state. The panel discussion brought together Mukhtar Ahmad Ali (Commissioner for the Punjab Information Commission), Anoosha Shaigan (Courting the Law) and Shmyla from DRF. The panelists discussed the role of novel and unprecedented ways through digital technologies can be used to enhance the right to information. The panelists discussed the advantages and shortcomings of the the Right to Information legislation in different provinces and the need for a robust one at the federal level. The question and answer session discussed the role of open government and the need for whistle-blower protection in Pakistan. Students were encouraged to exercise their right to information in their practice and activism to hold the state accountable. 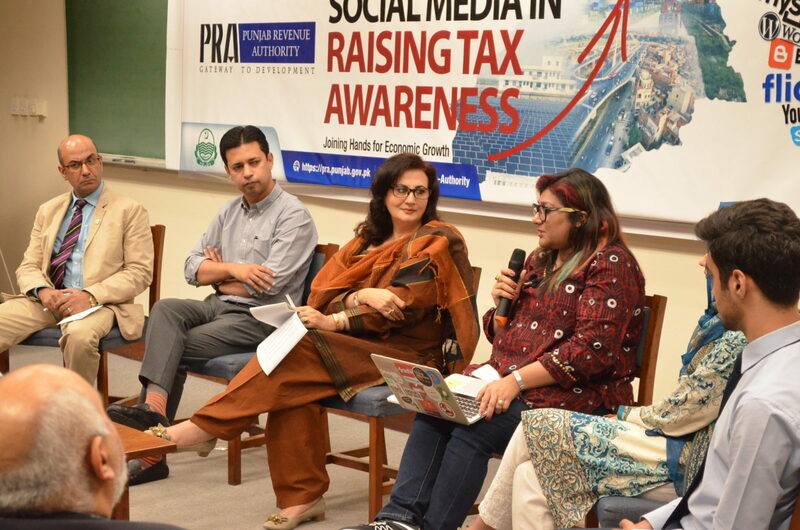 Nighat Dad was invited to speak at a discussion led by the Punjab Revenue Authority on the 7th of April at LUMS. The panel included Industries Secretary Mujtaba Piracha, Bramerz Chief Executive Badar Khushnood, Netsol Executive Anam Naseem, Feryal Gauhar, and two members of the LUMS student body, and the concluding remarks were given by Punjab Minister for Finance Dr. Ayesha Ghaus. 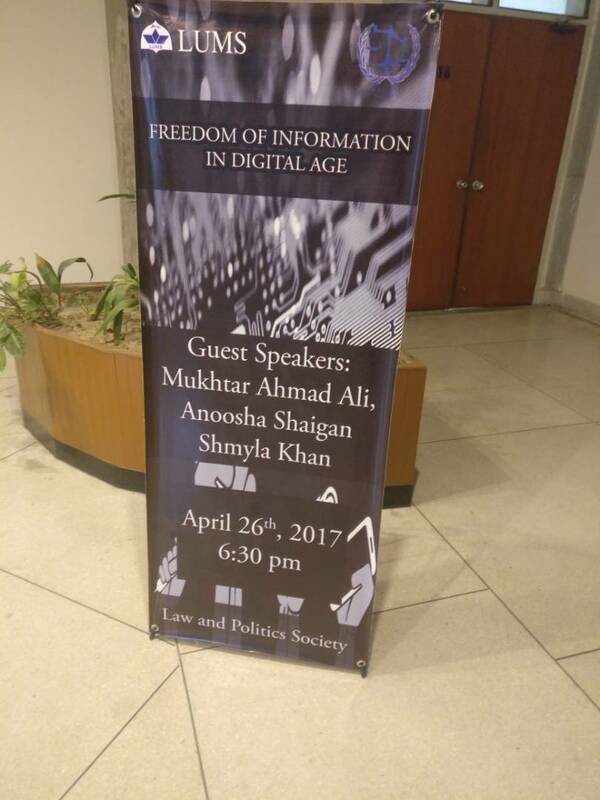 Internet Rights are Human Rights: Nighat Dad spoke to the students at Lahore University of Management Sciences (LUMS) on “Internet Rights are Human Rights” on April 28th where she talked about why digital rights in the technological age matter, and how they can demand their rights under the constitution of Pakistan. She also mentioned how when digital rights are violated, people’s freedom to access the online media suffers. She also added the gendered perspective to her talk and emphasized that marginalised groups use the online platform to learn and earn, which they often are barred to do in the real world due to various societal and political reasons. 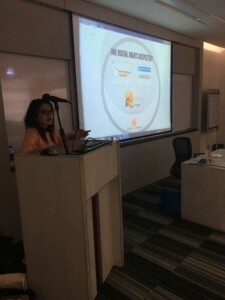 Lecture with the Cyber Law class: Nighat spoke to the students of the cyber law class on online harassment on April 17th. 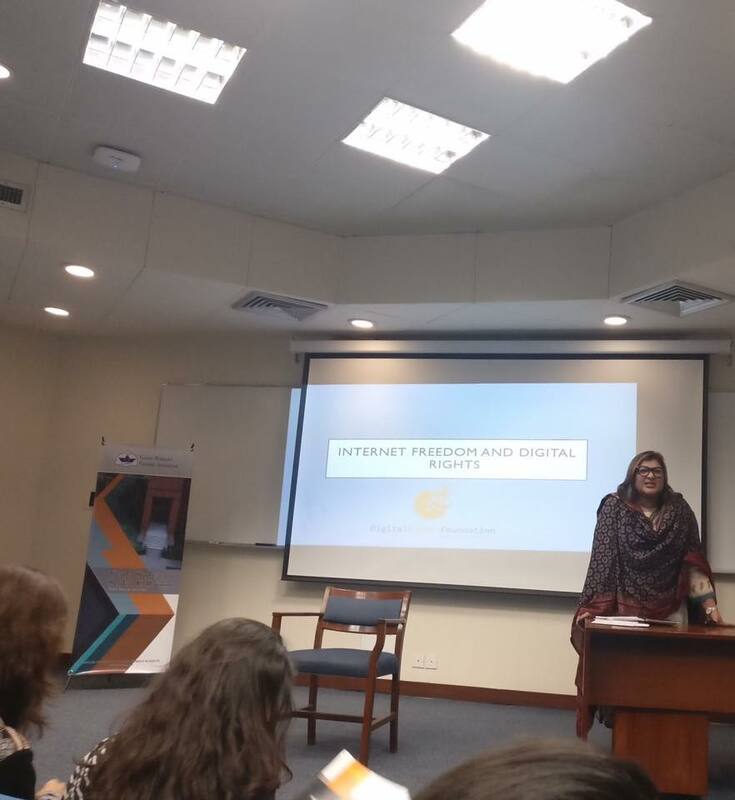 She talked about how online harassment has become a serious issue, and that the online threats are often translated into offline consequences. She also talked about the recently passed Prevention of Electronic Crimes Act (PECA) and briefed the students how it criminalizes cyber crimes and protects the rights of the citizens in the offline spaces. She also points out the problematic sections in the law and emphasized that it criminalizes some harmless criticism too. Digital Rights Foundation conducted an awareness raising workshop for female journalism and mass communication students at the University of Sargodha, Sargodha on April 6, 2017. The one day workshop focused on the threats female journalists face during the course of their work and throughout the interactive session, different tools and strategies were focused upon to help the students safeguard their privacy and security in the course of their journalistic work in the future. Digital Rights Foundation and Democratic Students Alliance (DSA) organised an open mic in remembrance of Mashal Khan who was lynched to death over alleged online blasphemy. The open mic titled "His Name was Mashal" gathered people to discuss the legacy of Mashal Khan, and all that he believed in - freedom of speech and freedom of thought. 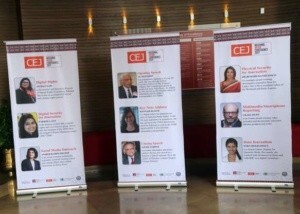 The videos from the event can be found here and here. On the 13th of April, Mashal Khan a, student of journalism was lynched at the Abdul Wali Khan University (AWKU) in Mardan. Mashal was shot and beaten to death by a mob of students over alleged blasphemy within the university. Investigations regarding the case are still going on and so far 7 have confessed of their involvement in the murder and 41 people are suspects and under custody. Political turmoil and tensions are at an all time high since political parties are insisting to release the people involved in the murder. AWKU has also set up an inquiring committee to probe into the matter of blasphemous activities carried on by students from the Department of Journalism and furthermore rusticated two of the victims from the university until further notice. On the 28th of December Mashal Khan uploaded statuses about fake profiles being made in his name on social media websites to malign him which has stirred controversy among people and disclaimers about profiles are being posted online. The Federal Investigation Agency (FIA) has gone through Mashal’s profiles and has so far found no blasphemous content on his profile. Digital Rights Foundation compiled some essential guidelines to follow in case of a fake profile on social media. 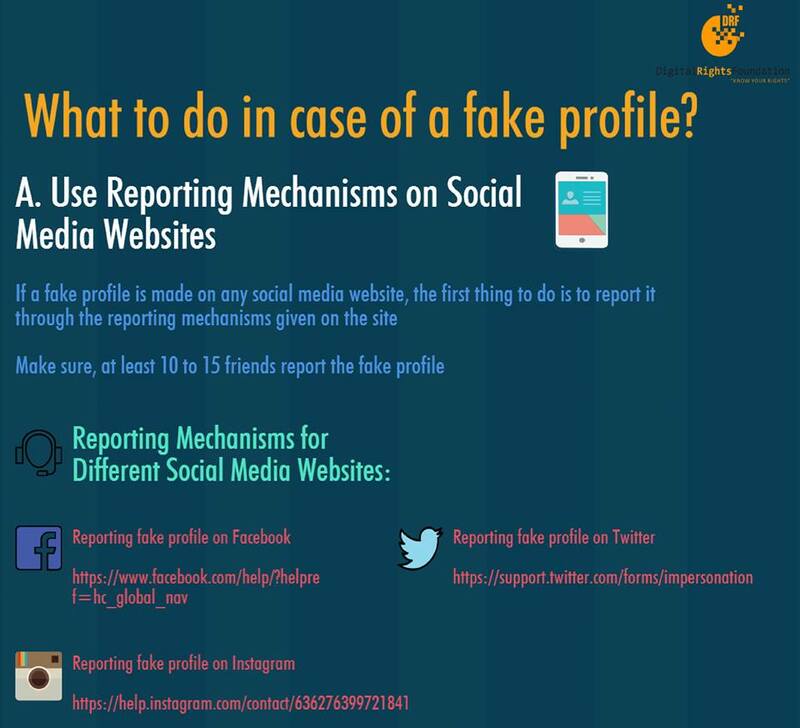 The detailed infographic describes the reporting mechanisms present to report fake profiles on various social media websites. 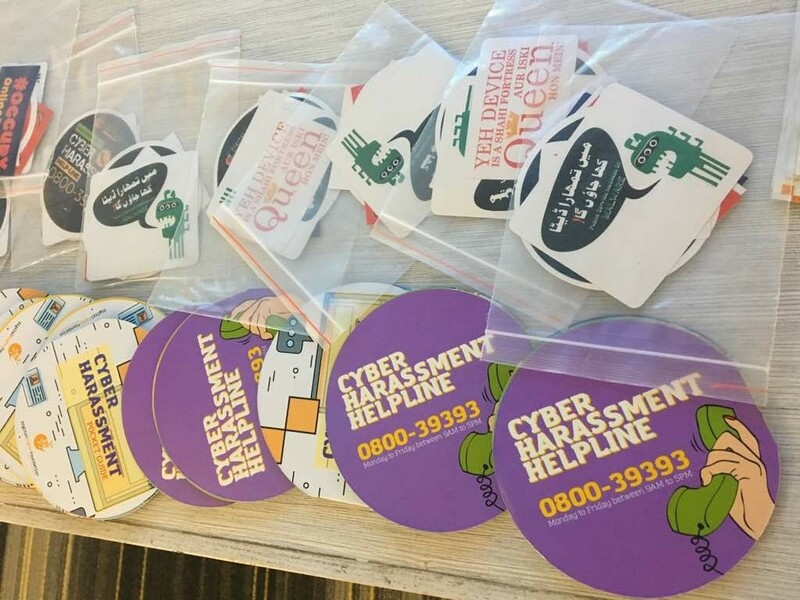 Details about how to report to the FIA and how to reach out to the Cyber Harassment Helpline [0800-39393] which is the first of its kind in Pakistan were also shared in it. Fake profiles can involve impersonation, spamming, and non-consensual usage of private information and pictures, to name a few. In light of recent events it is important to always be vigilant, and to take proper measures to protect yourself online. The infographic can be accessed here.